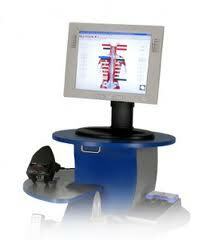 These computerized scans will let you know if chiropractic can help you. It allows us to take the guesswork out of you and your child's health and truly guage the impact your nerve system is having on you and your child's well-being. The benefits of these scans are to detect and pinpoint abnormal function which cannot be seen on X-ray and are generally not felt in the form of pain until the damage is severe. Much like a heart attack. 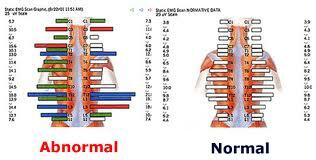 The scans will show if there is any Subluxation (stress-green=bad, blue=worse, red=severe) on your nervous system and how it is affecting your organs, glands, muscles & energy level, and overall health and well-being. Absolutely not. These tests do not utilize any needles, electric shock, or heat whatsoever. The patient just feels someone touching their spine. Infants and children are scanned on a daily basis in this office to ensure their best health and optimal development.